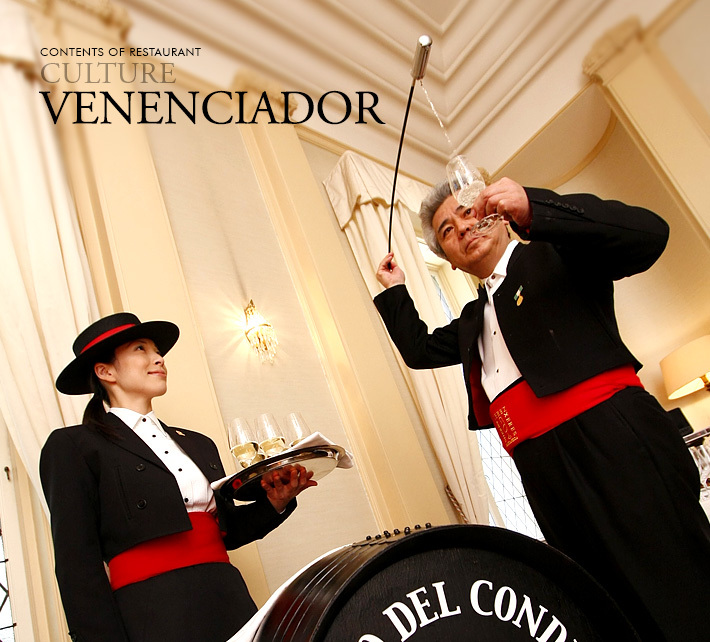 Venencia is a long tool with a dipper on the end to scoop sherry from the barrel to the glass. It is said that the long flexible tool is made form the whisker of a whale. From the glass held at the position around the waist, the venencia is drifted on the air slowly and beautifully drawing a perfect orbit to extend the generous sent of sherry. Venenciador is often seen at celebratory occasions in Spain and is an indispensable existence to sherry itself. Highly appraised on the contribution to sherry in Japan, we were honored the "Venenciador de Merito" from the official Sherry Committee of Jerez. 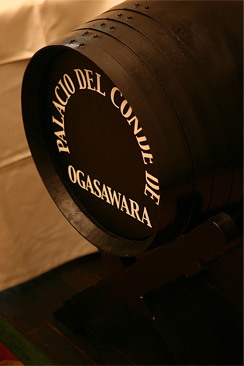 Ogasawara-hakusyaku-tei wishes to continue being the preacher of the deep and beautiful allurement of sherry.